I am happily starting my third year here at Granton Schools as the High School history educator. 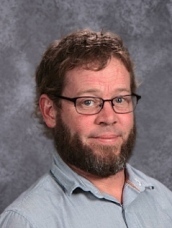 I have roughly 15 years experience teaching history and social sciences to students ranging from grades 5 to 12, and geographically from Colorado, Ashland, Spooner, Port Edwards and Granton. I graduated from UWSP (twice) with degrees in Business Adminstration, Marketing, International studies, Education, History Economics and Broad field social sciences. I am also the varsity boys basketball coach, PBIS coordiator and an all around good egg! I look forward to meeting all in person! Take care! !